Security is always a major concern for people that are living in a neighbourhood and for people that are looking to relocate. This concern is justified as the crime rate in Kuala Lumpur is statistically on the rise, and the Malaysia 2015 Crime and Safety Report outlines that petty theft, particularly purse-snatching, pickpocketing, and residential burglaries happen to be among the most common crimes. “Residential break-ins do occur and are becoming more frequent in single family homes; these break-ins generally do not result in confrontations or injuries to the occupants. While uncommon, some burglars have entered when occupants were home, tied the residents up, and threatened them with weapons,” the report also highlighted. Driven by the same concern, Benjamin Lim’s neighbours wanted to install an expensive alarm security system in their house. While this isn’t an uncommon act, it got Ben wondering about the system’s efficiency and effectiveness. Also he wondered if there was a better way to deal with such by utilising the guards from their guardhouse. Soon, Ben began brainstorming ideas that would better secure his neighbourhood, and as such he partnered with Eric Ong to come up with the idea for the MyTaman app. Together they came up with a prototype and tested out the pilot in Ben’s neighbourhood. Currently there are more than 2000 Resident Associations (RAs) in Selangor alone and numerous house owners, who have spent tens of thousands of Ringgit on home security and alarm systems. “Security alarm systems built in the home itself normally alerts people within its close proximity of danger and when help comes, it might actually be too late. Most expensive security alarm systems provide the feeling and sense of security but doesn’t actually secure the home at all,” the team said. 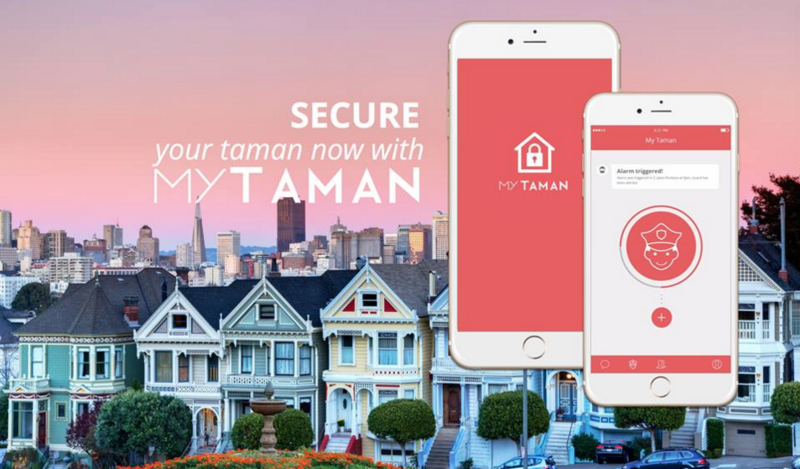 Derived from the Malay word “taman” which means neighbourhood, MyTaman is an upcoming Internet of Things (IoT) platform, available on both iOS and Android, that’s geared towards helping people secure their houses and communities in a new way. 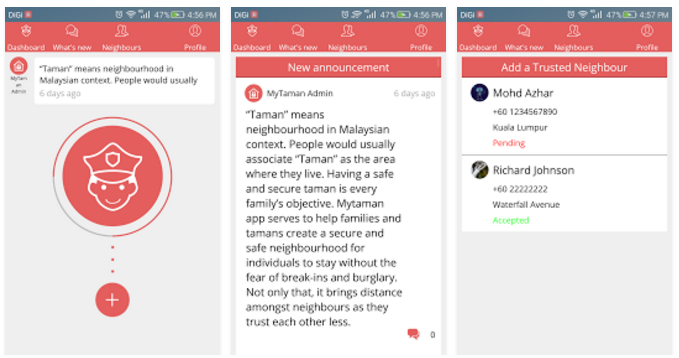 Rather than relying on alarm systems that may not be able to alert key people within your vicinity, the MyTaman app features a Guard Button that users can simply press when they’re in distress and it will directly alert the guards and all three of their Trusted Taman Neighbours. When this button is pressed, the user’s house number will be flashed on the LED Screen at the guardhouse while sounding off the MyTaman’s Smart Siren. Given that both the guards and your key neighbours are aware of your distress, you can expect help in no time. Residents in distress can expect help to show up at their doorstep much quicker than usual primarily because the guards know the exact house number. And to prove the system’s efficiency, team shared a recent event where a person saw someone within the compound trying to open the door. The person pressed the guard button and the guards received the notification from House 34, and they quickly came through to rectify the situation at hand. Residents can also keep track of incoming visitors to the neighbourhoods through the app as well. They can make use of the Visitors feature that will alert the guards ahead of time regarding potential visitors. This feature informs the guards about the resident’s visitors along with their names, timing and date of arrival. This information will be passed to the guards directly through the app and the guards can print this information through a mini thermal printer from the guardhouse. This can help them keep a better track of all the traffic that’s flowing in and out of the neighbourhood. Along with this feature, the app also provides a news feed type of interface where the residents association can share announcements and updates that are relevant to the neighbourhood. 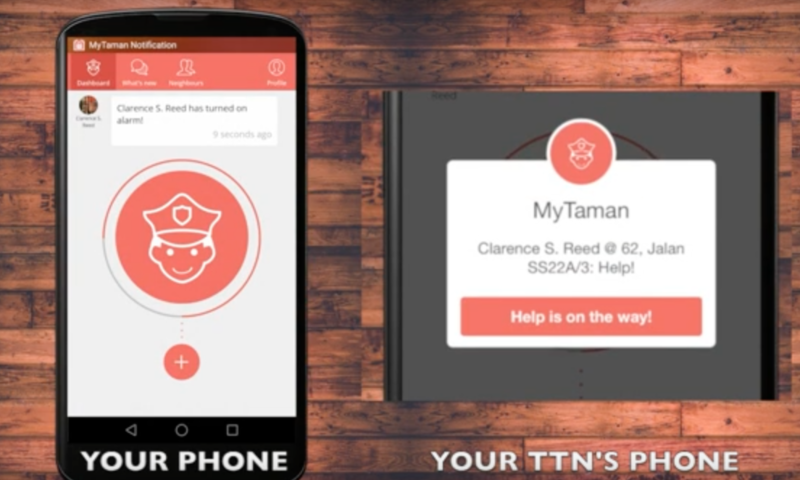 If a resident would like to implement this system in their neighbourhood, they can download the app, and once they get past the authentication process, they can search for their taman through the app and then create a new one if it doesn’t exist. The MyTaman team will verify the request within 24 hours. Once it’s approved, the area’s residents can freely download the app for use. 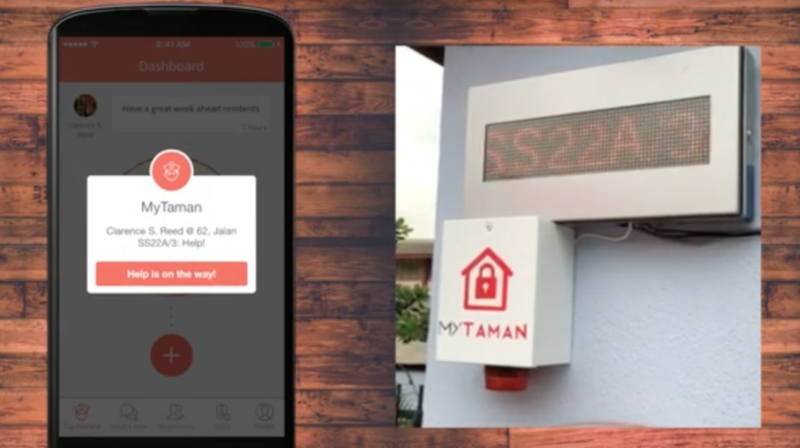 While the app is free for use, the resident administration is required to purchase the MyTaman’s hardware that includes a smart siren, LED screen, 3G modem, and a mini thermal printer that will be installed at the guardhouse by the MyTaman team. They will need to pay a one-time installation fee that includes all of the hardware, and thereafter they’re expected to pay an annual subscription fee, a 1-year 3G Data Plan, and for any on-site maintenance services. The app was officially launched on the 22nd of December 2015, and it’s still in their pilot phase and they already have 3 registered neighbourhoods under their belt with about 300 users. They’re also working to commission 2 more neighbourhoods to try the app. Security measures are either preventive or deal with crime after it occurs, MyTaman provides the latter solution. 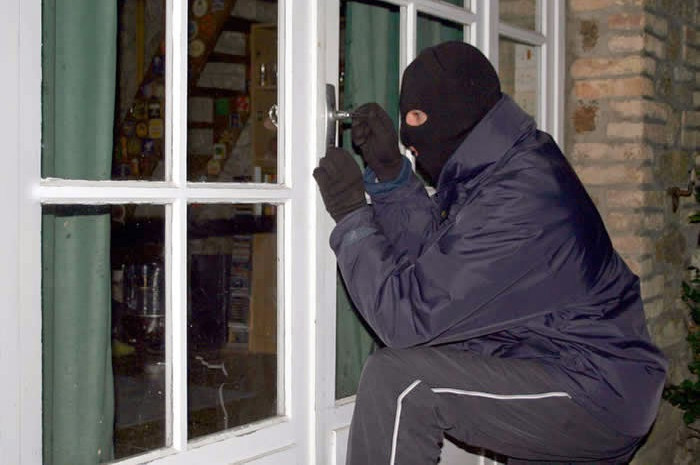 It may not be able to completely deter “new and upcoming” burglars who have all kinds of sneaky tricks, it does act as another layer of security to keep them away from your house.